In 1992, Congress passed the Indian Environmental General Assistance Program Act. This act authorized the Environmental Protection Agency (EPA) to provide General Assistance Program (GAP) financial and technical assistance to tribal governments to assist in developing environmental programs, particularly addressing hazardous waste issues. Priority funding is provided to federally-recognized tribes, with remaining funds granted to inter-tribal consortia programs. KANA has been awarded IGAP funds to develop a consortia program for Kodiak’s ten federally-recognized tribes. Seven of our ten tribes—Village of Old Harbor, Native Village of Port Lions, Native Village of Ouzinkie, Kaguyak Village, Native Village of Akhiok, Native Village of Larsen Bay, and Native Village of Karluk—are located off of the Kodiak road system. 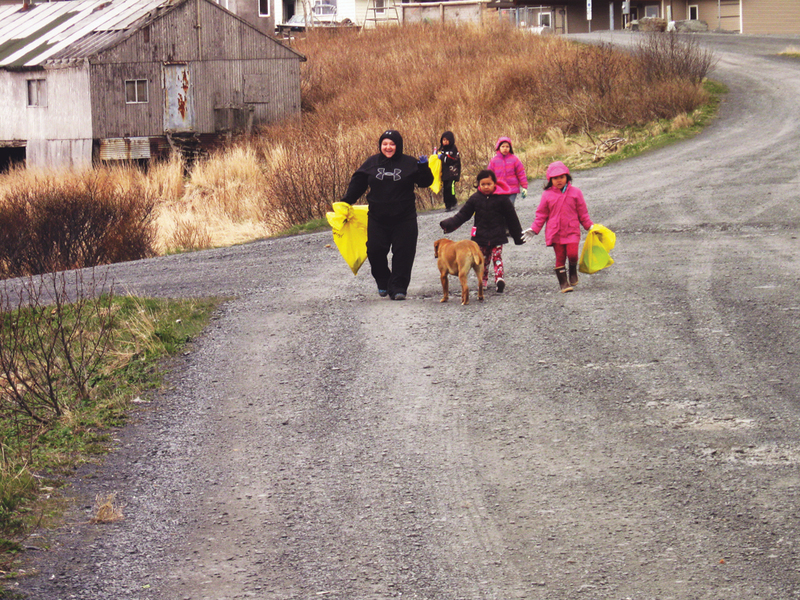 Native Village of Afognak, Sun’aq Tribe of Kodiak, and Tangirnaq Native Village currently receive solid waste services from the Kodiak Island Borough. Communities not on the road system have varying degrees of waste management activity. Each of the village communities experience waste management challenges in similar ways. By creating a central consortia, KANA can organize communications and provide technical support to assist Tribes and municipalities in addressing these waste management challenges as well as other environmental challenges. 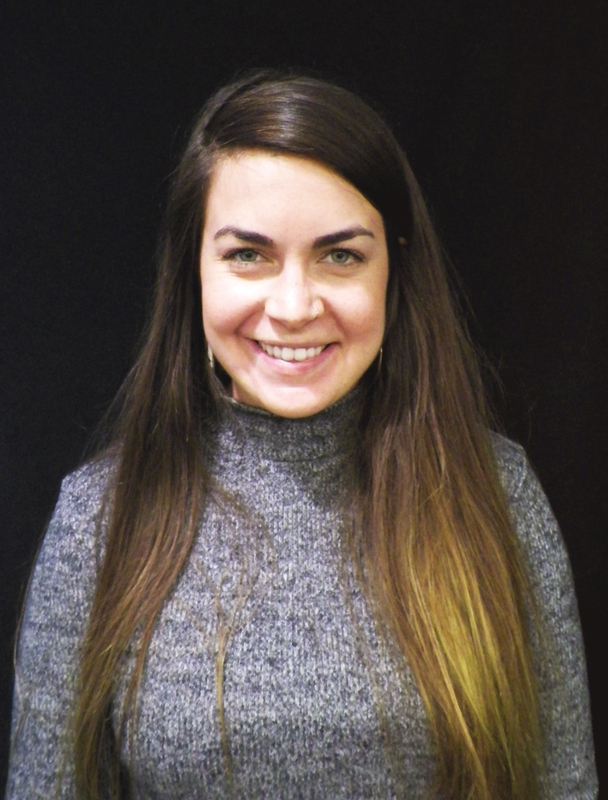 With a degree and background in Community Psychology, Stephanie attributes her experience as the former Executive Director at Threshold Services as sparking her environmental passion. Since receiving the grant, KANA has established relationships with the Tribal Environmental Coordinators of each village to become familiar with their existing programs, community goals, and concerns. Hazardous waste and water quality will be the consortia’s focus for 2018. 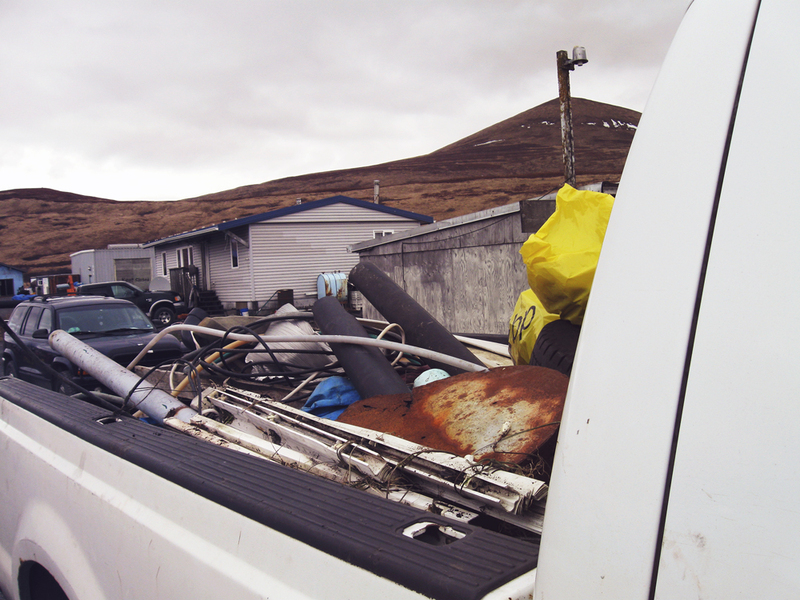 KANA and Kodiak Island Borough recently partnered in a massive island-wide cleanup of hazard household and industrial waste, including a total of 2,625 tons of scrap metal and 27,939 pounds of lead-acid batteries. However, as villages continue to receive commodities, solid and hazardous waste will continue to accumulate. Meanwhile, warming ocean conditions and lowering pH is creating a stressful environment for marine life. The warming of the ocean temperature is specifically creating an environment for the growth and spread of harmful algae. Researchers are investigating if harmful algal blooms are connected to the recent mysterious deaths of marine mammals in the region. Akhiok community members cleaning up the neighborhood. Stephanie Mason is KANA’s Regional Environmental Coordinator. Disposal of scrap metal and industrial waste is an ongoing problem in the villages. 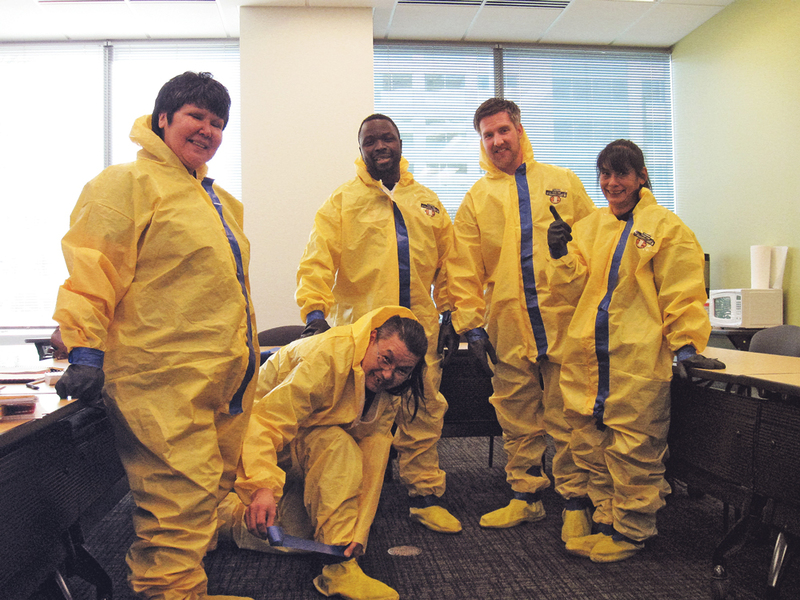 Teacon Simeonoff of Akhiok (knealing) at HAZWOPER training in Anchorage.